This entry was posted in 2DAY FM, Radio station and tagged 1980, 2Day FM, Original jingles, Sydney radio, youtube on January 8, 2015 by andrew. This entry was posted in 2DAY FM, Imaging, Radio station and tagged 2Day FM, Bill Riner, Holger Brockman, Sydney radio on May 8, 2014 by andrew. This entry was posted in 2DAY FM, Radio station and tagged 1986, 2Day FM, Aircheck, Announcers, Mike Currell, Sydney radio, Warren Burr on March 31, 2014 by andrew. This entry was posted in 2DAY FM, Personalities, Radio station and tagged 1986, 2Day FM, Aircheck, In Tune with Today, Jingle, John Carroll, Sydney radio on March 27, 2014 by andrew. thanks to Sebastian Bustamante for this, the original file was 1HOUR too big to put all on, so here are some highlights it aired on Dec 4, 1998. They were due to finish at 6pm but spilled into Ugly Phil’s Hot 30 as they went over. Their last song was meant to be “Cruel” by Human Nature but the ditched it in favour of more highlights of previous shows. A fantastic montage to finish it all. This entry was posted in 2DAY FM, Funny stuff, Radio station and tagged 1998, 2Day FM, Comedy, Martin Molloy, Melbourne Radio, Sydney radio on October 2, 2013 by andrew. 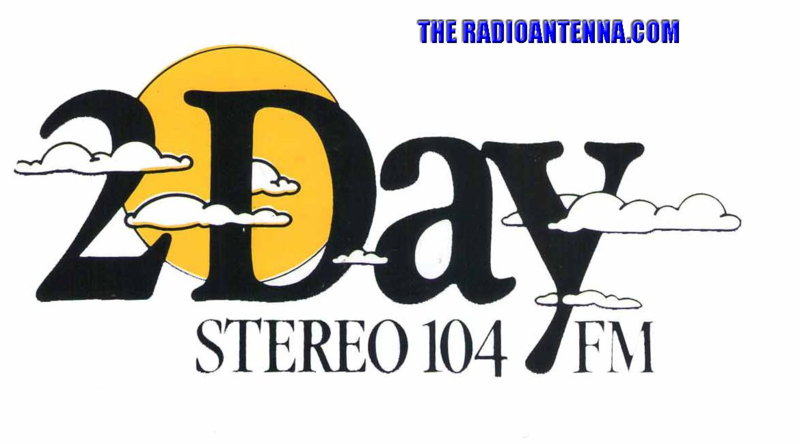 This entry was posted in 2DAY FM, Andrews Legends on the Mic, Radio station and tagged 1987, 2Day FM, Aircheck, Frank Avis, News, Sydney radio on August 30, 2013 by andrew. An original jingle from the era of Willesee, Laws, Kennedy, actually Graham Kennedy did a 3 hour Sunday morning gig that was really entertaining. This entry was posted in 2DAY FM, Imaging and tagged 1981, 2Day FM, Jingle, Sydney radio on June 9, 2013 by andrew.